A new government for the West Bank-based Palestinian Authority was sworn in Saturday, led by a veteran peace negotiator and harsh critic of Gaza’s Hamas rulers. Ishtayeh faces tremendous challenges, with the PA in a deep financial crisis following U.S. sanctions and Israel’s withholding of $138 million in key tax revenues it collects on behalf of the Palestinians. 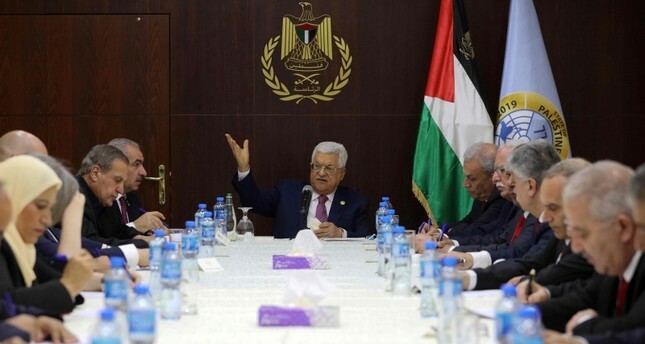 The new cabinet replaces a technocratic government formed by Rami Hamdallah in 2014 after an agreement between Fatah and Hamas, the group that has run the Gaza Strip after ousting Fatah and evicting the PA in 2007. Despite enormous Egyptian efforts, the attempted unity government failed to reconcile the two groups. Last year, the Trump administration recognized Jerusalem as Israel’s capital, triggering the Palestinian Authority to sever its ties with the U.S. The Palestinian leadership fears that Israel would retain major Jewish settlements in the West Bank and the seat of the future Palestinian state would be in Gaza instead.